Posts: 34 Just got my first Pale Watery Dun neck, but it occurred to me I don't have any patterns for that color, can anybody suggest any patters that use that color ? Just got my first Pale Watery Dun neck, but it occurred to me I don't have any patterns for that color, can anybody suggest any patters that use that color ? Lighter dun is a great shade for sulphers. 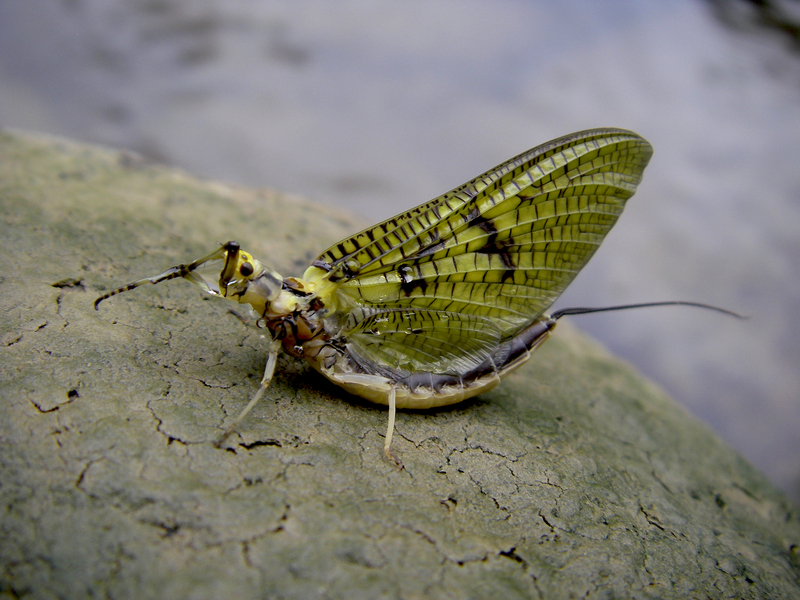 Think of the E invaria and the E dorothea...We have inherited a great many fly fishing terms from Great Britian and I think the "pale watery" or "pale-evening dun" may have originated over on the other side of the pond. is it a whiting cape? If it is, that is a pretty light color. I have one too. I use mine for spinner wings mostly. 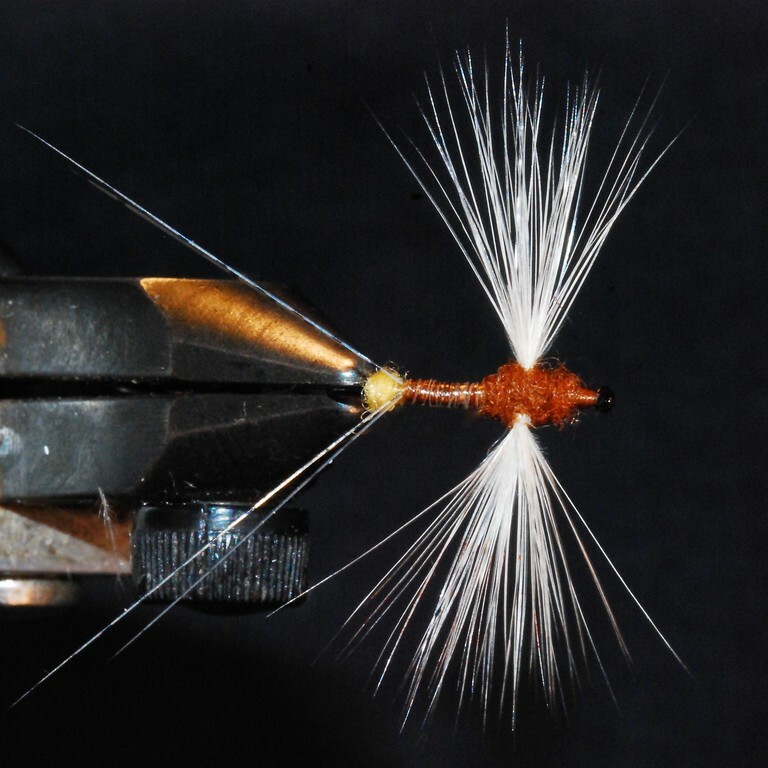 No offence taken at your reply, the only time I even heard of Pale Morning Dun was a few years ago a guy showed me a fly and asked if I knew what kind of hackle was on the fly. When he told me I thought he was pulling my leg, till I saw that one for sale. Great looking fly, and thanks for your reply I'll have to remember that. What kind of body is that ? Posts: 2468 Eric, lovely fly. Looks like a goose biot body and a fur thorax. 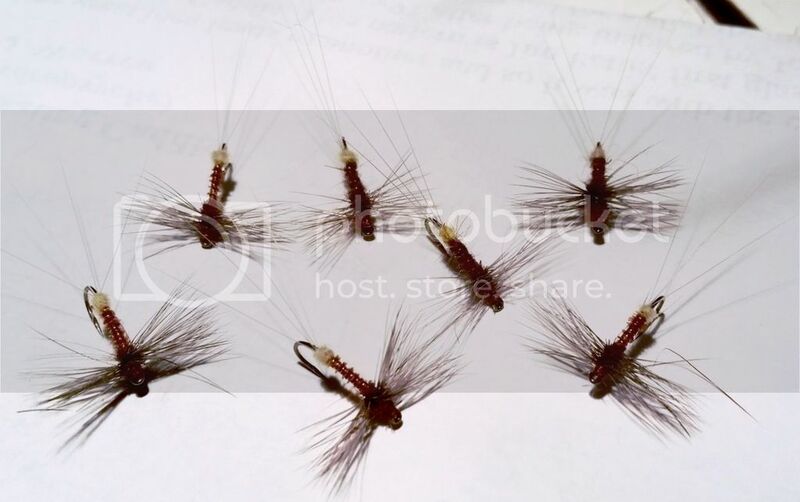 I counter wrap the biot with either XF gold wire or 8/0 Uni rust thread to protect the fragile biot from the trout's teeth. Without the rib the biot often breaks on the first fish. Eric, lovely fly. Looks like a goose biot body and a fur thorax. Thanks Matt and Ed. That's very kind of you to say. Abdomen is Hends Body Quills. I like biots but like you pointed out Matt, they are fragile. The Hends material is pretty nice. Much more durable and very easy to tie with. Jonathan, yes I'm still fishing when it's not too cold. Some olives and sulphurs around on the nicer days. Here's one from one of my recent forays. enough olives that day to get the fish looking up. 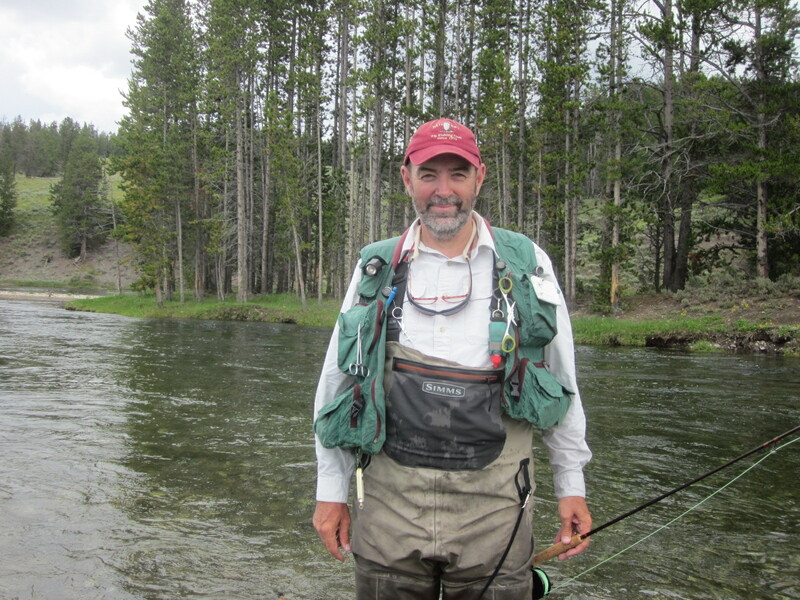 I was christening a new rod (Tim Zietak 6'3" #4 Paul Young Midge clone). Whenever I get a new rod I take it to the most famous of my local limestoners to try and impart some good juju into the new stick. Posts: 2345 You lucky dog! Nice rod and pretty fish! It's 19F outside right now and I'm thinking much more of x/c skiing and ice fishing than throwing flies. 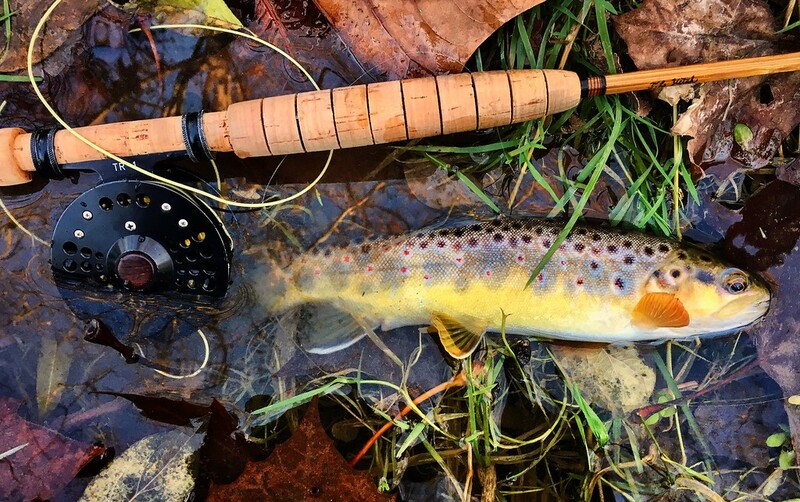 I haven't seen any winter hatching activity on the Rifle the few times I have been out there in winter, but there are always the lake-run browns and steelies...if it actually gets warm enough to think about putting on waders! I'm sure your spring-fed waters help in that regard...tight lines when you can get out! Posts: 2345 BTW nice flies too, Matt. Does the little blob at the end of the abdomen represent an egg sac? Posts: 2468 Yes, female Hendrickson spinners have yellow egg sacks. Does it matter? Who knows but I enjoy adding it on some of my spinners. 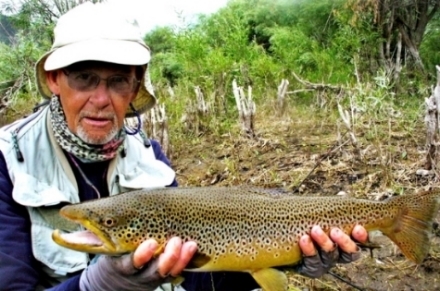 Posts: 2468 Eric, Cute little brown trout. 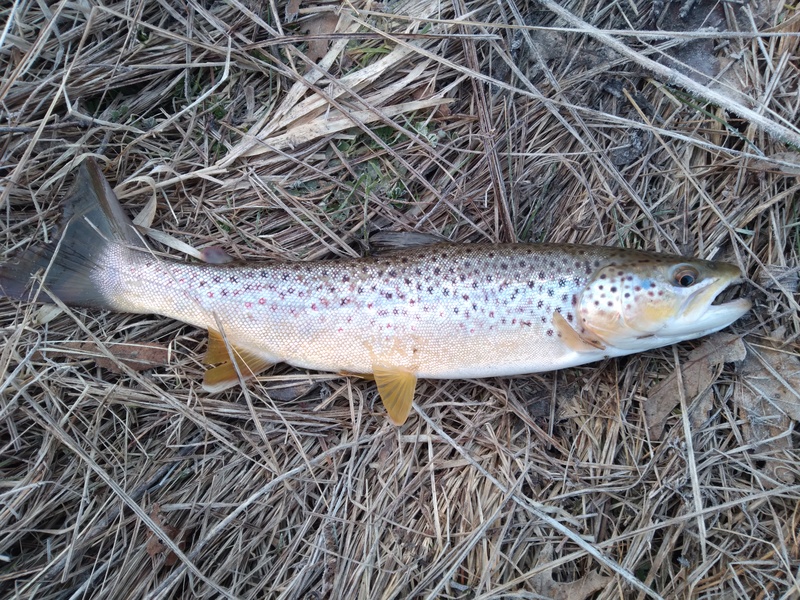 I caught an even smaller one on the Gunpowder in MD. Posts: 2587 Very nice looking Henny spinners there Matt!